(Rivera Beach, FL – April 9, 2018) – The Riviera Beach Community Redevelopment Agency (RBCRA) announced a Request for Proposal (RFP) for the Marina Village Phase II Development. The RBCRA is seeking a Development Partner with extensive experience and a consistently successful track-record in planning, designing, constructing, leasing, operating, and marketing mixed-use real estate ventures to build upon Marina Village Phase I public investment that include the completion of a New Event Center, as well as an expanded and improved marina, festival park and marina-side public promenade. RFP submittals are due May 31, 2018 by 12:00 p.m. (noon). A Mandatory Pre-Submittal Conference will take place on May 14, 2018 at 10:00 a.m. at the Marina Village Event Center, located at 190 E. 13th Street, Riviera Beach. This conference will provide prospective respondents the opportunity to ask questions, receive clarifications, or make requests concerning the interpretation of the RFP. The RBCRA intends to select a qualified Master Developer with an innovative land, building, infrastructure, mixed-use development and public/private partnership strategy. The Developer will commit to advancing goals, policies and programs set forth in a Community Benefits Agreement. Both RBCRA and the Developer will work jointly to manage the coordination of the outreach and procurement requirements to maximize community benefits in the following areas: local participation in project ownership; business development; construction contracting; employment; and workforce development. 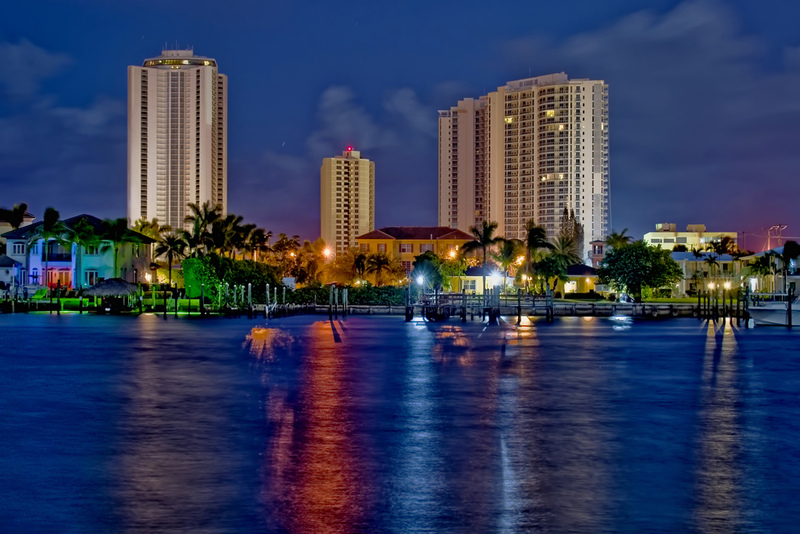 The Marina Village project is one of the last major waterfront redevelopment projects in South Florida. The project is strategically located within a high-valued, diverse, urban marketplace – a short drive time for all the beach, shopping, dining, and water recreation amenities within Palm Beach County, which attracts over 7.35 million visitors per year. The strategic vision for the Marina Village Redevelopment project is to leverage the City of Riviera Beach’s public waterfront and maritime district setting to create a mixed-use destination that will serve as a regional gateway, crossroads, destination, employment, hub and innovator center. The Marina Village is envisioned to become an Event Center and City Marina anchored dining, water recreation, and hotel destination. In May 2017, the RBCRA adopted new objectives that reset the Marina’s master plan in order to clarify the City’s interest, plan approach and priorities. After the Event Center’s opening, there has been an increasing interest to build a hotel as part of the destination strategy. The RBCRA Board of Commissioners has identified a hotel as a desired component of the overall mixed-use place making strategy for the Marina Village. A hotel could be placed in a variety of locations as determined by the proposed developer and could work collaboratively with the existing Marina Event Center meeting spaces. Options for the hotel’s location are opposite to the Event Center’s main entrance; in the southern quadrant in closer proximity to the existing cruise terminal; within the waterside promenade dining experience; on the Spanish Courts sites fronting the U.S.1/Broadway Corridor; or at the marina district’s main U.S.1/Broadway Corridor entrance. The Developer should provide a degree of flexibility needed to incorporate concepts that best serve the project and maximizes the development potential of the land, and will be required to generally incorporate the design principles in a fashion that is most responsive to sound development practices, urban design principles, cost considerations, and demands of the market, as well as identify green space and other public amenities within the development in order to create pedestrian-oriented environment that integrates a shared parking strategy harmonious with the existing and proposed transportation system. In addition, as part of the RBCRA’s intent to negotiate a Developer Agreement within the Top-Qualified Proposers, a key provision of the Developer Agreement will be a Community Benefits Program that outlines the goals and program requirements to ensure intensified focus on achieving local participation with respect to businesses contracting, employment and workforce deployment. To date, the RBCRA has invested in excess of $20 million to improve its waterfront in order to attract additional private investment that will expand public access to water and catalyze broader revitalization along Broadway corridor and surrounding neighborhoods. The total land within the Marina Village district and immediately adjacent land along U.S.1 totals approximately 12 acres. Approximately 6 acres located within the interior of the district – that fronts the marina – has been designed for the proposed Phase II mixed-use project. This phase excludes 0.5 acres of strategically positioned land that is owned by Viking Development – an affiliate of the Viking Yachts. The Marina Village Phase II Development is scheduled to open between Fall 2020 and Spring 2021. For more information on the Marina Village Phase II Development RFP, please contact Andre’ Lewis at (561) 855-3408 or alewis@rbcra.com.